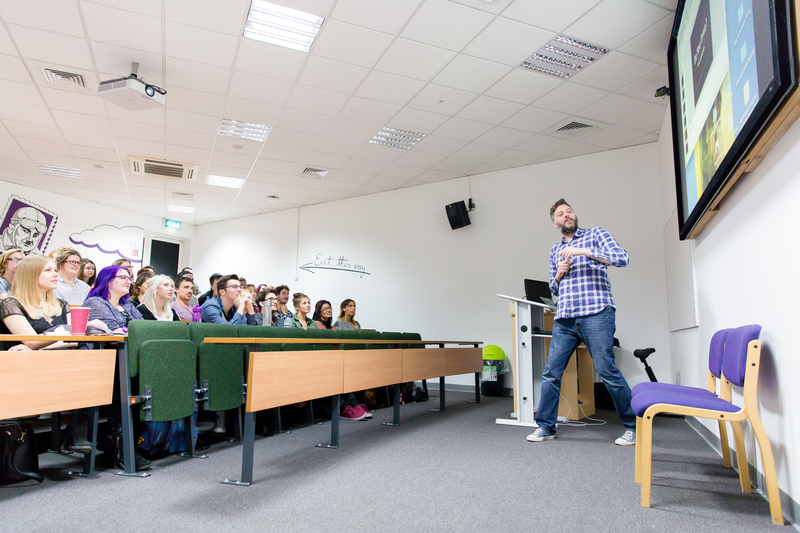 MA and BA Radio Production students were joined by BA Media Production students to hear Iain Lee from Talk Radio, well, talk about his love of the medium. Tips on how to create the best relationship with the listener, develop content and be brave in your on-air decisions. We also heard about the power of the Producer and how he values working with one.